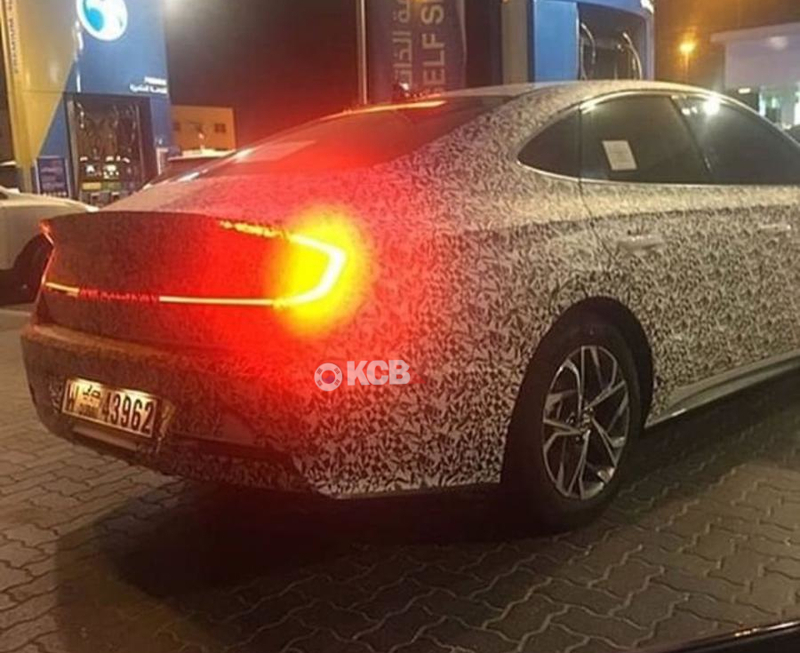 While today we shared the latest pictures and information about the all-new 2020 Hyundai Sonata, we were talking about we have seen a blurried picture with connected headlights, but the quality of the pictures does not allowed us to confirm if were the Sonata. 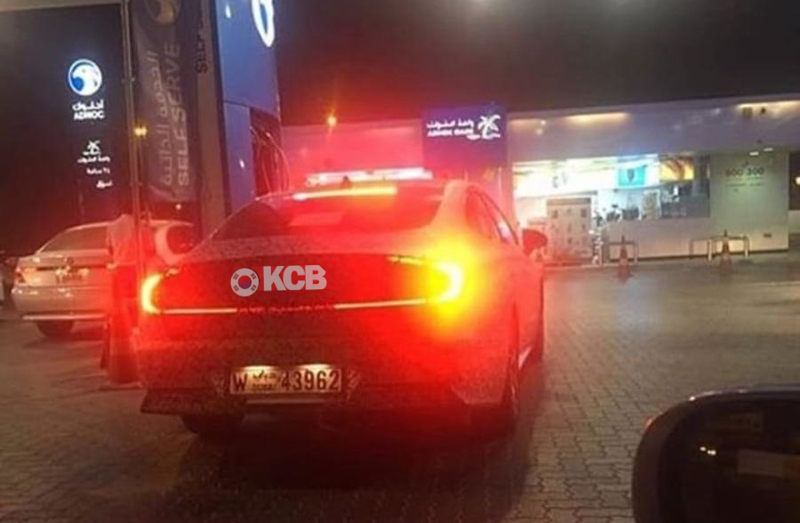 Now and thanks to our Instragram fan @cars_fantastic99 we can confirm that the Sonata will have these connected lights and we have the images that proof that directly from Dubai, UAE. Is the new Sonata a big Avante? The existing Avante has been rated as completely new design. It was designed with the idea to be liked by everyone, young and old, and the former high-performance model, the Avante Sport, was popular very with its sporty design. Despite this was a partial change, creates a lot of controversy for people dislike this new design, specially in the case of the Sport version. This has made consumers more sensitive to what they expect on the new Sonata. However, the new Sonata seems to be nicer & sportier than its predecessor and looks like it follow many design cues from the Le Fil Rouge, a concept car model showed by Hyundai at Geneva Motor Show, and which has received good receivement. If you take a look to the pictures, the new Sonata will have headlight-mounted LED daytime running lights while the car were spotted wearing the final design rear taillights for the first time and is going to a connected lights and a design that remains me the Santa Fe for the Chinese market. A month ago, we announced that Hyundai executives have been green-lighted the Sonata N, according to AutoPost, and it’s currently under development. Despite that, this Sonata is not the Sonata N.
What we can expect in terms of engines on the Sonata N? Report assumes that will use the 2.0 Turbo GDi with a final output between 250 & 275 hp, but at the same time they talk about a rumour that says the chosen one will be the new Theta-3 2.5-liter Turbo GDi, over 280 hp. New Sonata DN8 production will start on the 15th of March 2019, so we expect to see it at NY Auto Show on April. Regular powertrain will be based on the new NA 2.5-liter GDi, with hybrid and plug-in hybrid variants to come alongside the regular model while the latest generation of Sonata models received the Hybrid variant a few months later the launch of NA models, with the new generation this won’t happened. Hyundai planned to have ready the full line-up at the time of launch, that’s why they’re already testing both versions.